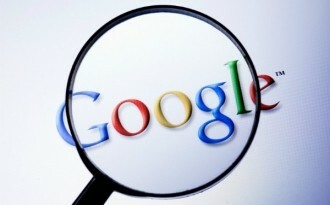 Google has settled a long-running dispute with Belgian newspapers over copyright complaints. The case dates back to 2006 when a group of publishers sued Google claiming the use of headlines and snippets of Belgian newspaper articles in Google New amounted to copyright infringement, and so did providing links to cached copies of articles in its web search results. After some back and forth, a Belgian court sided with publishers, Google lost its appeal and in September 2011 it removed all links to compy with the ruling. Since then the two parties had engaged in talks to reach the "most reasonable" solution and now they've dropped all litigation under a new deal. In short, Google isn't admiting to copyright infringement and says it isn't paying publishers for their content, but rather will collaborate with them on a range of initiatives to increase their revenue. That includes purchasing millions of dollars of advertising space in the papers, integrating Google services into the publishers' content, and assisting with distribution on mobile devices. Google will start referencing Belgian newpapers in its news aggregation service again, but cached content on web searchesis still off limits. The company is also paying all the legal fees for Belgian papers, signaling it had the losing hand in this arrangement despite framing it as a win-win. As PaidContent notes, French media wasn't as gracelful, claming that the Belgian papers "forced Google to bend" and pay newspapers "around 5 million euros" (about $6.5 million). It's possible other European publishers will come knocking on Google's door for similar arrangements -- France and Germany are already making noise about levying a fee for search engines which link to content. Google for its part says it already offers publishers a way to opt out of being included in Google News, and recently launched a campaign in Germany with the goal of educating people about the proposed changes.